THE FOLLOWING IS A TEST OF THE JACOB-TREMBLAY-PETTING-A-DUCK ALERT SYSTEM. PLEASE DISREGARD. THIS IS A TEST OF THE JACOB-TREMBLAY-PETTING-A-DUCK ALERT SYSTEM. O. M. G. So Jacob Tremblay was recently spotted ***petting*** a ******duck******, and it’s literally everything. THIS PHOTOGRAPH OF JACOB TREMBLAY HOLDING A PUPPY IS MERELY A PLACEHOLDER. Talk about cuteness overload!! Jacob and this mallard are R-E-D-E-F-I-N-I-N-G what it means to be completely adorable, and we couldn’t be loving this photo more. IN THE EVENT THAT JACOB TREMBLAY PETS A DUCK, PLEASE IMMEDIATELY PROCEED TO DOWNLOAD THE PHOTO AND SET IT AS YOUR PHONE’S HOME SCREEN. So. Much. Yes!!!! Jacob, we already loved you, but now that you’re petting a duck, it’s almost too much cuteness to handle! Amazing at acting and amazing at petting ducks? We’re practically overdosing on cuteness over here! AGAIN, THIS IS JUST A TEST. 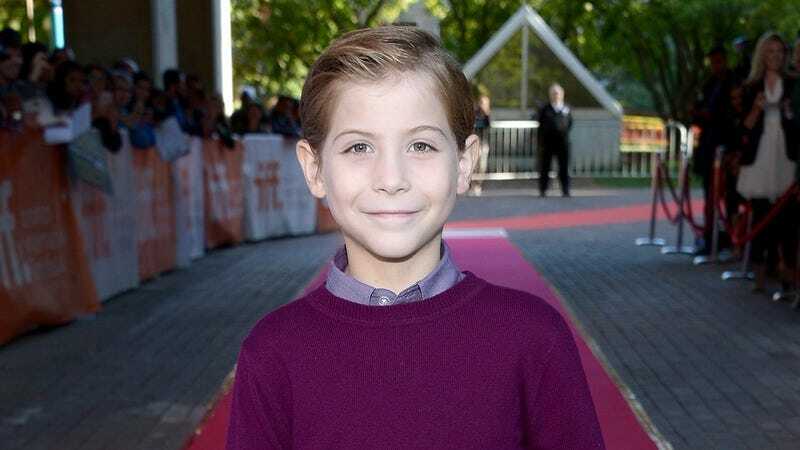 AS FAR AS WE KNOW, JACOB TREMBLAY HAS NEVER EVEN SEEN A DUCK. IT IS BEST TO BE PREPARED. Um, jealous!!! Hey, duck, leave a little Jacob for the rest of us, why don’t you? THE JACOB-TREMBLAY-PETTING-A-DUCK ALERT SYSTEM RUNS THE FIRST MONDAY OF EVERY MONTH AT NOON, EST. THIS CONCLUDES THE TEST OF THE JACOB-TREMBLAY-PETTING-A-DUCK ALERT SYSTEM.